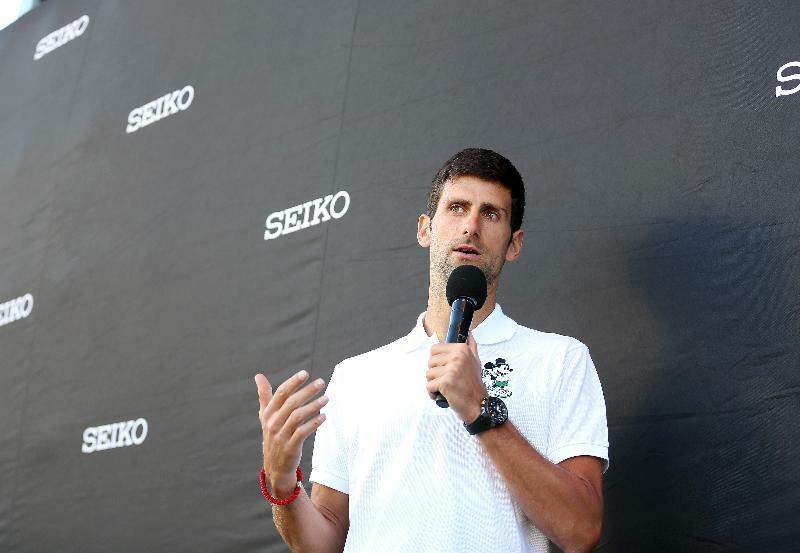 Novak Djokovic, the top-ranked ATP star and SEIKO watches brand ambassador, took time out of his training schedule to meet his most challenging opponent yet – himself. The world’s number one tennis star encountered a specially created, avatar of himself, incorporated in a world first virtual reality computer game. Created especially by SEIKO Australia, the life like game was developed to make playing on the court as authentic as possible with even the feel of the racquet being realistic. Leading up to the event, tennis enthusiasts battled it out at Melbourne’s Federation Square, playing the specially designed VR game with the top four winners having the opportunity to meet Novak and receive a limited-edition SEIKO Novak Djokovic watch with the winner receiving also a $1,000 cheque, courtesy of SEIKO Australia. 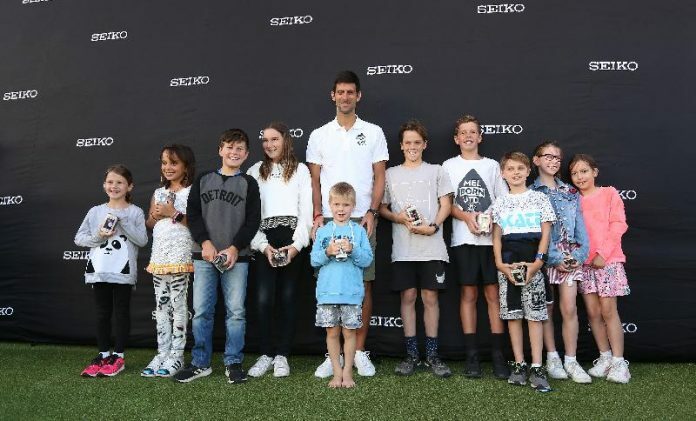 In honour of The Novak Djokovic Foundation, Novak presented children, on stage, each with a special watch created for The Foundation. Novak also spoke to the Melbourne crowd in a Q&A session. “High stress is always a great obstacle for anyone that’s why I feel like the greatest support to me and every athlete and every human being is always yourself. If you can master yourself in way and control your thoughts and emotions, then you’ll be able to shine,” says Djokovic.